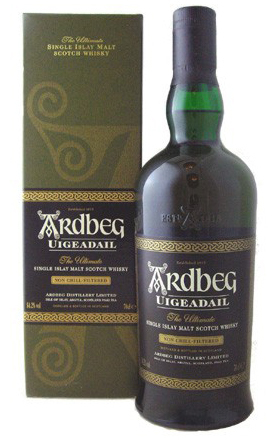 After a family celebration recently, I found myself at home, squinting a bit (curse you Yorkshire Terrier) with a newly opened bottle of Ardbeg Uigeadail. A generous measure was poured, inhaled, warmed gently in my hand. It was then poured back in it’s bottle for another day…..